Accurately detailed split hatch with spring balance. Includes machine gun travel lock, hip pads, locking handle, head pad, periscope and covers. 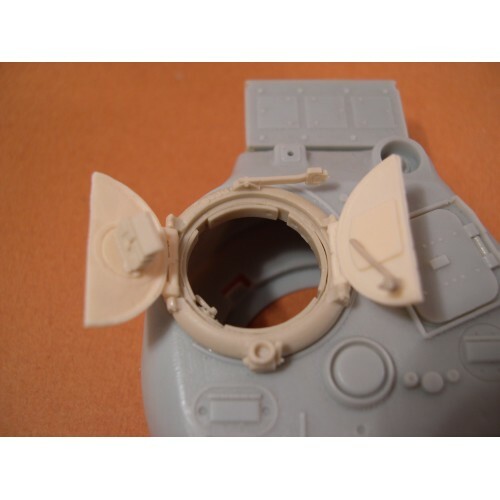 A great replacement for Dragon Firefly kits, Tasca's Firefly with Cheek Armor, or any late Sherman 75mm turret, such as the Tamiya M4A3 75mm (W) , Dragon Sherman M4 Composite, or Dragon's M4A2 PTO kit.